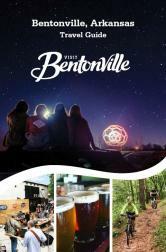 Bentonville, Arkansas, is a small Midwest town with a population of just under 50,000, but it is quickly becoming a hotbed cycling destination in the United States. The small town kicks off the three-day Natural State Criterium Series (NSCS) with the USA CRITS race getting the action started on Friday night. The neighbouring towns of Rogers and Springdale host the Saturday and Sunday races respectively. The town of Bentonville, population 50,000 and headquarters to Walmart, the world’s largest retailer, has quickly become a hotspot for cycling in past years, thanks in large part to Steuart and Tom Walton, grandsons of the late Walmart founder Sam Walton. The Walton brothers have spent considerable time and effort to put Bentonville on the cycling map. They worked to create a large mountain-bike trail network around the town. Last summer, their investment group, RZC Investments, took a majority stake in Rapha, strengthening their strong tie with the cycling community for the considerable future. Beyond the Walton brothers, the three-day Natural State Criterium Series (NSCS) is produced by the Bicycle Coalition of the Ozarks, also known as BikeNWA, the leading advocacy group for road cycling and bike commuting in Northwest Arkansas. So, while the Waltons have done extensive work to attract mountain bikers, BikeNWA is making strides to bring those that like skinny tires to towns like Bentonville. All proceeds from the NSCS support programs and advocacy for a more bike-friendly region.